As part of my on-going effort to archive all my previous illustrations I stumbled upon this one. 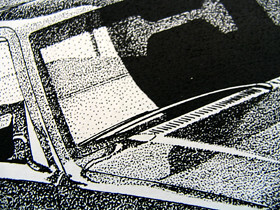 It was illustrated in pen &ink using the stipple (tiny dot technique). 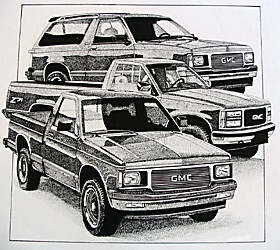 GMC wasn't a client. Rather I illustrated the vehicles to show prospective ad agencies my rendering style.